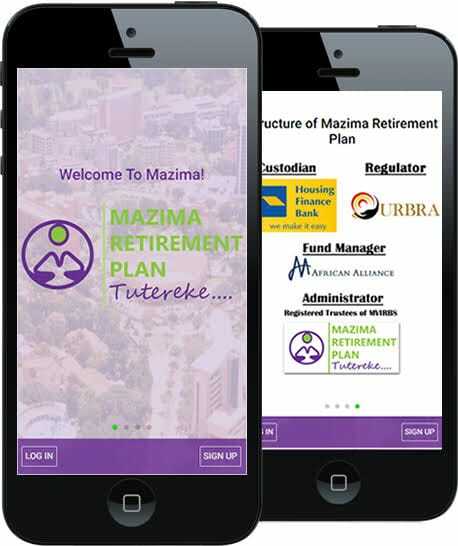 KAMPALA – Members saving with Mazima Retirement Plan (MRP), one of Uganda’s fastest growing voluntary saving schemes, are set to earn big after MRP declared a rate of 8.6 percent returns at the end of each member’s financial year. This was revealed during the scheme’s Annual General Meeting (AGM) on Wednesday, November 28 in Kampala. According to Martin Nsubuga, the acting Chief Executive Officer (CEO) of the sector regulator, Uganda Retirement Benefits Regulatory Authority (URBRA) Mazima’s net asset increased from Shs517 million to Shs886 million at the end of July 2018. The scheme also declared 8.6 percent interest to members and also membership increased from 572 to 784 members. Nsubuga applauded Mazima for attracting members from different parts of the country. He, however, recommended a permanent independent administrator for MRP to ensure transparency and elimination of conflict of interest in the voluntary scheme’s leadership. The scheme was placed under an interim administrator, M/S Octagon Uganda Limited in April this year and will exit in Mid-December this year after Mazima Board of Trustees appoints a permanent administrative structure. Nsubuga said URBRA wants to hand over a fully functioning and conflict-free scheme to members. UBRA took over the management of the scheme following extreme anomalies in the leadership where for example, the Chairman Board of Trustees, Livingstone Mukasa was at the same time CEO for the scheme. URBRA insists that was a big mistake and it cannot be accepted in the regulators’ interest of protecting members’ savings. Speaking to PML Daily after the meeting, Nsubuga said that, if well managed, Mazima will be one of the top informal saving schemes in Uganda given the large sums of money in the informal sector.